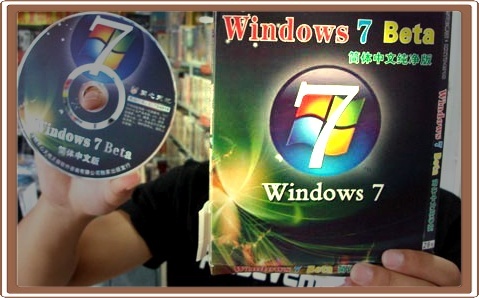 Software vendors in Beijing are already selling pirated versions of the Windows 7 operating system after its official China release on Oct 23. Roughly 30 percent of the 20 vendors METRO interviewed yesterday at Hailong Plaza, the largest market selling electronic products in Zhongguancun, offered a pirated version of Windows 7. Piracy software vendors have kept a low profile when selling the pirated operating system due to a tough government attitude and Microsoft’s aggressive marketing campaigns. “I am taking a high risk to sell the pirated version. The government has launched a very harsh campaign recently. We will be fined over 10,000 yuan and probably also sent to prison if they catch us,” a woman surname Zhao, who works for a video store in Hailong, told METRO. The demand for Windows 7 is high. A vendor in Hailong, surnamed Huo, said she could sell 20 genuine copies a day. It went out of stock on Monday. “If we were allowed to sell pirated copies, I am sure sales would beat the authentic version,” said Fang Dawei, manager of a legal software store. Though Microsoft is offering the world’s cheapest retail price of Windows 7 to Chinese customers at 399 yuan ($58) each, many mainland users still think it is too expensive. Zhang Weiwei, a college student, said she would rather choose a pirated version of Windows 7 because it can be bought at only 20 yuan. Wu Haitao, director of the intellectual property department of Microsoft China, said it is shortsighted for customers to purchase pirated versions. Speaking at an international summit on software copyright in Beijing yesterday, Wu said they have been trying for years to let customers know the huge investment Microsoft has put into every generation of the Windows operating system, and how the flaws in pirated versions can damage their computers. “Our consumers should raise their awareness, and big enterprises also need to be self-disciplined and not use the pirated systems,” he added. Next Next post: We will compensate everything – Tele2 said.